The earth’s climate is changing and extreme weather events are on the rise. Hurricanes are wreaking havoc with more ferocity, summers are getting warmer and winters colder. But what about our oceans? They, too, are warming. 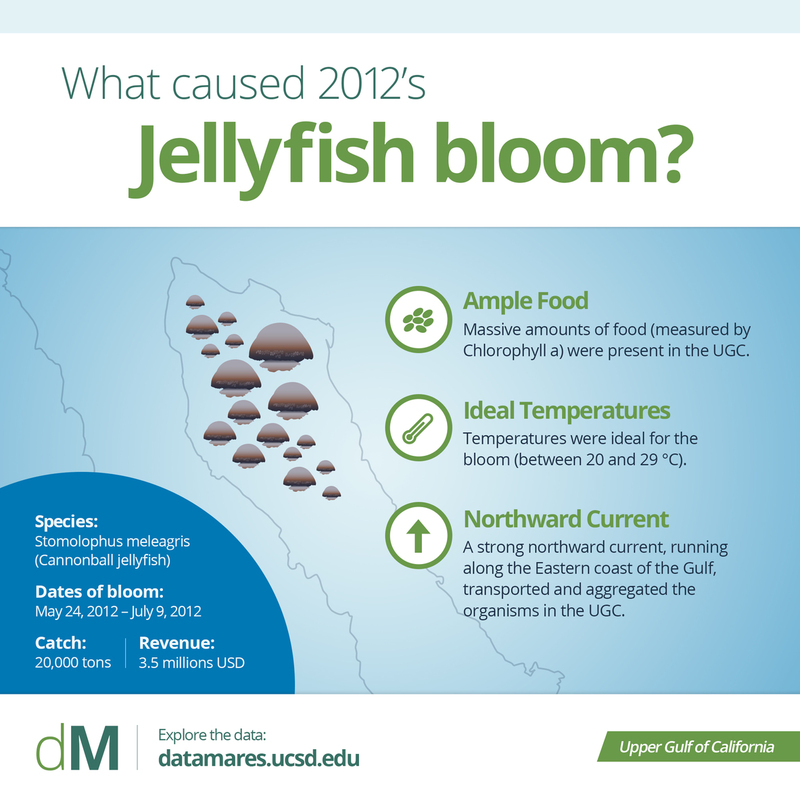 With the seas’ temperature rise has come an increased frequency of bloom events. These are rapid increases in the abundance of (normally) planktonic species, often associated with seasonal events or climatic phenomena. The duration of a bloom event depends on a number of environmental conditions, including temperature, light and nutrient availability. 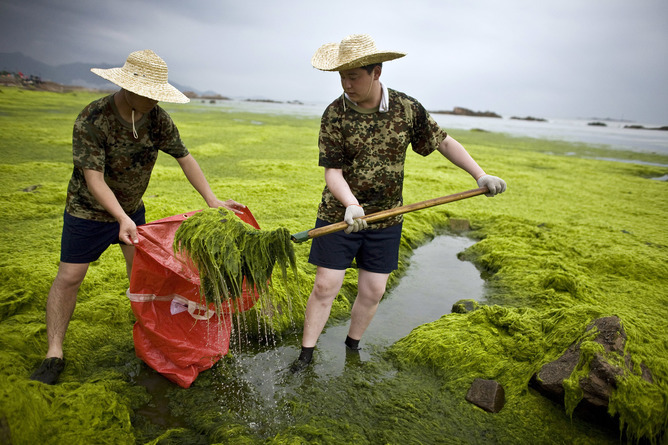 A well known example is the green algae that struck Qingdao, China during the 2008 Olympic sailing events. 10,000 people, including People’s Liberation Army soldiers, worked to clear algae before the 2008 Beijing Olympics. With oceanic temperatures steadily creeping upwards, the general consensus is that such bloom events are on the rise in many areas. Although bloom events can cause significant problems in fisheries, some blooms can prove useful to fishers. A recent study in the upper Gulf of California, also known as the Sea of Cortez, demonstrates just this relationship between fishers and blooms. 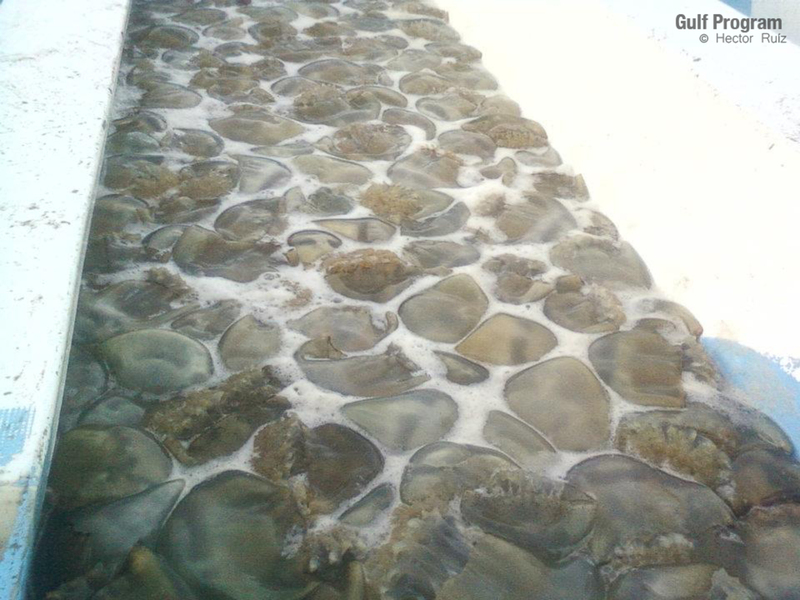 Researchers from the Gulf of California Marine Program describe how in the summer of 2012, local fishermen were host to a huge bloom of non-native Cannonball Jellyfish (Stomolophus meleagris). Thanks to the fast-growing Chinese dried-jelly market, the bloom made the local fishermen US$3.5 million in just 40 days. Above-average surface temperatures and algal blooms promoted the growth of the jellies in the Guaymas basin, which is midway up the Gulf of California. These advantageous feeding conditions meant that what could have been a normal amount of jellyfish turned into a floating swarm. The jellies traveled north with the prevailing currents for 30 days until reaching the Santa Clara basin area of the Gulf, 750km north of Guaymas, where the bloom was fished. The jelly bloom brought added revenue and employment to the upper gulf, but the story is not as rosy as it first seems. With such a large pulse to the local economy, and the assumption that the bloom would be a regular annual fixture, fishermen began investing in equipment and training courses (promoted by local fisheries managers) to prepare for the coming year’s anticipated harvest. Alas, in 2013, the jellyfish never appeared and the local fishers’ investment was lost. 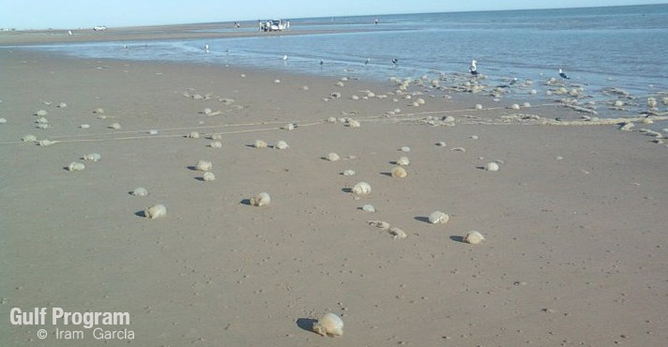 Slimy catch during the jellyfish bloom in 2012. With bloom events on the rise and many fish stocks facing unsustainable exploitation pressures, it seems clear that such jelly-fishery events will become more common in our seas and jellies more abundant in fish markets, albeit those in Asia. It is, however, important that careful investment is made in fickle fisheries stocks, like the jellies, that appear sporadically with low predictability. 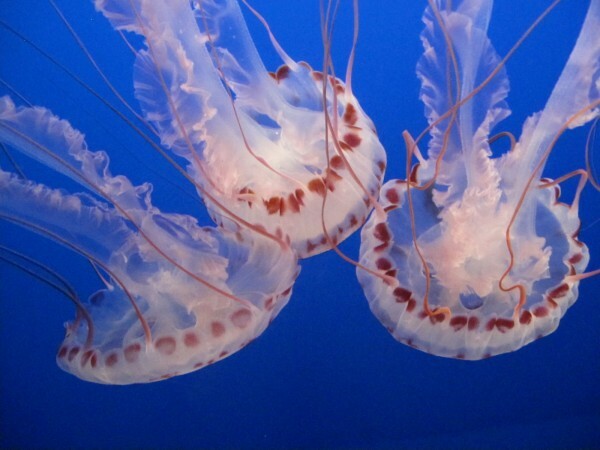 Similar stories of the rise and fall of cannonball jellyfish echo along the Southeast US continental shelf, but over longer and unpredictable time frames, highlighting the difficulty in relying on such blooms even over the longer term. Cannon ball jellyfish washed up in the Gulf of California. If fishermen mis-invest and lose confidence in a fishery and local management, it will have negative consequences in the long term. The divide between rules – such as catch limits, closed seasons and protected areas – and compliance will likely widen as overall profits are reduced and the hunt for declining fishes increase. In order to ensure full benefit is gained from new fishery opportunities without post-fishery “bust” scenarios, it is imperative that scientists, managers and fishers work together to make both economically and ecologically sound decisions based on long-term outlooks. Ways to get it right will include avoiding flooding markets and maintaining good market prices for catch, fishing within biological limits of species to prevent stock collapses and aid future stock booms, and using robust science, based on long-term data to make good predictions on future catches.